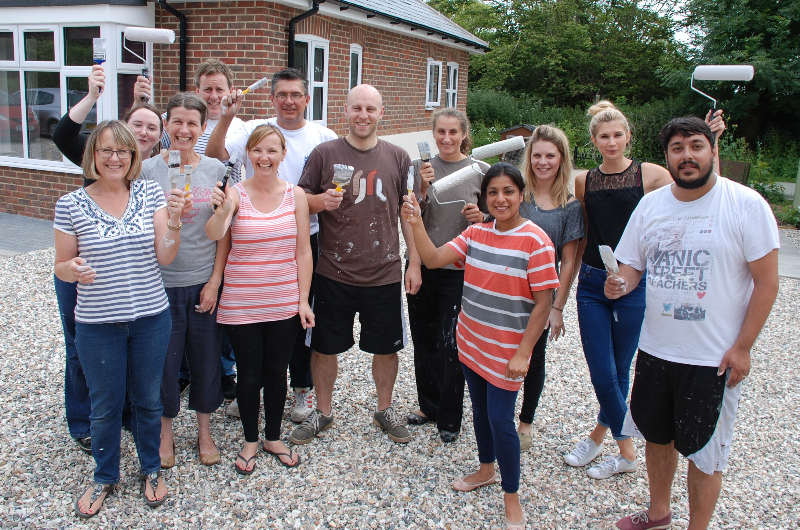 We offer rewarding employee volunteering opportunities which benefit the individual, the business and the community. Are you handy with a paintbrush? Our Hostels, Hubs and supported accommodations constantly require redecoration. Green fingers? We have supported accommodations throughout the Chichester and Arun districts that need garden maintenance – especially during the growing season! Harvest festival is a busy time at Stonepillow, we receive valuable and generous donations from organisations throughout Chichester, Arun and beyond. Help us to keep our store room well organised as donations flood in. Our biggest fundraising event of the year! 'Sleep out' as a team to raise funds for Stonepillow or volunteer with your team to help on the day. Spread some Christmas cheer throughout the season – not just on Christmas Day! We need lots of help, from distribution of festive food to our projects and cooking meals to wrapping Christmas boxes.